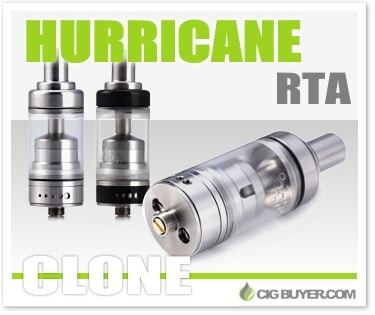 The Hurricane RTA is a great looking rebuildable tank atomizer with a simple, yet attractive design. It features a dual post deck designed for single coil builds, large 3.5ml tank and an adjustable airflow control system with 10 air holes to provide the maximum amount of airflow. Made from stainless steel with adjustable brass center screw and polycarbonate tank, it’s a nice rebuildable setup created for anyone who wants simple-to-use build deck with plenty of e-juice capacity.